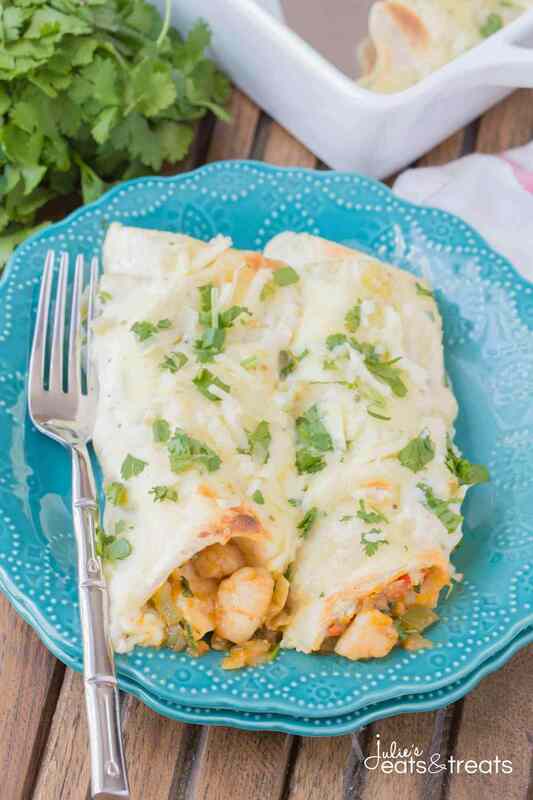 Shrimp Enchiladas ~ Filled with tender, flavorful shrimp then topped with a delicious homemade creamy sauce. 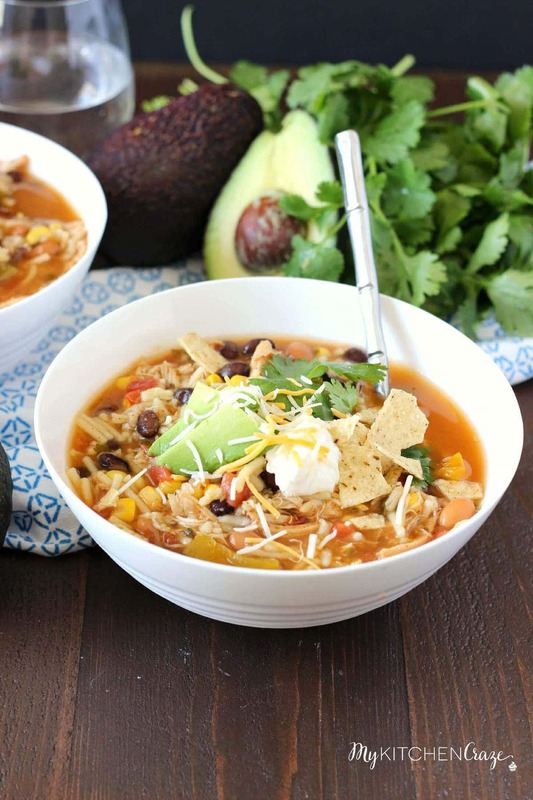 You will Love this Quick, Easy Weeknight Meal! Today’s the day! 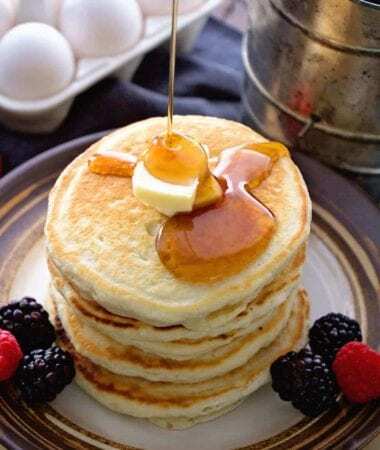 I’m sharing my favorite recipe with you all. Are you excited? You should be! Do you go through stages where you have a favorite recipe, then you get tired of eating it because that’s all you’ve made for the last month? That’s totally me, but I’ve yet to grow tired of this particular recipe. I created it one weekend when my girlfriend, Jessica was coming over. 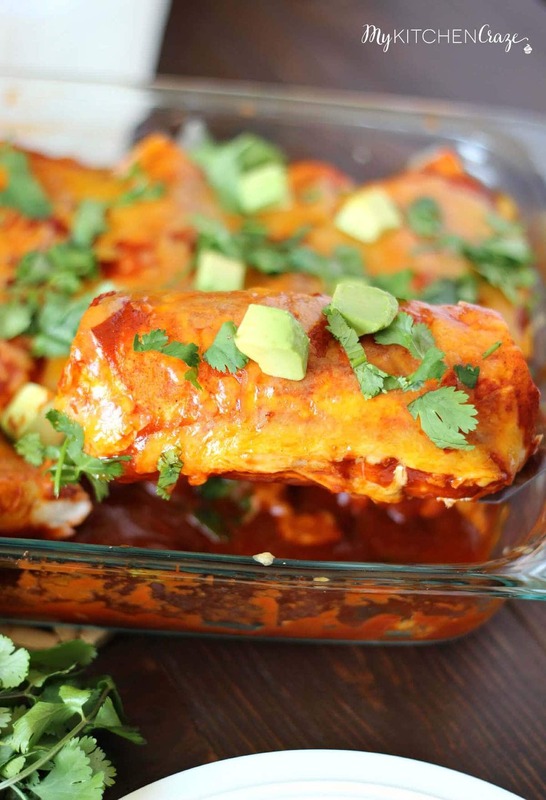 We love Mexican food, especially enchiladas. Since I’ve become OBSESSED (sorry to yell at you, but it’s true) with any and all types of seafood, I knew her and I would love this recipe. What I didn’t realize was how much we’d love it. She loved it so much, she emailed me the following week asking me for the recipe. I told her I just scribbled scratched down the ingredients and directions, but I hadn’t gotten around to actually making it for the blog. She then tells me that I need to make it again, photograph it and put it on the blog ASAP. That’s what I’m doing today. 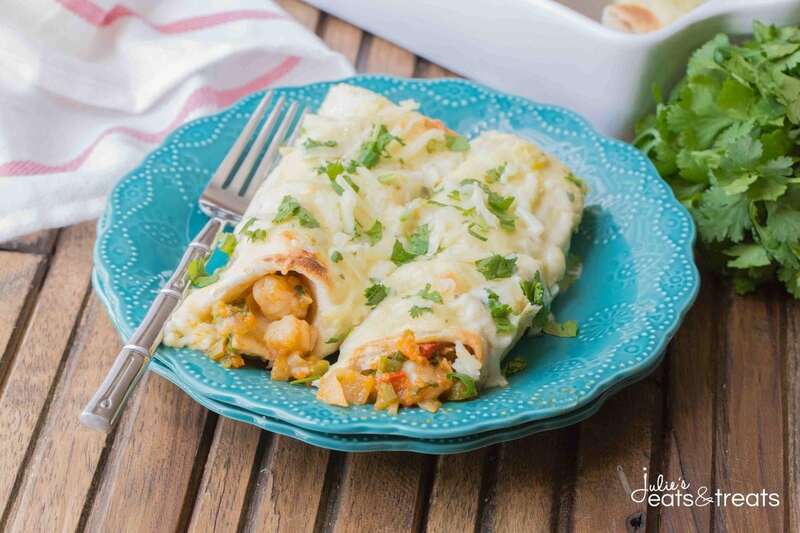 You guys I cannot tell you how good these shrimp enchiladas are. I think the homemade sauce put this recipe over the top. The shrimps are lightly seasoned, then cooked until almost cooked through. Then you assemble everything and bake it for roughly 20 minutes. So good!! The ingredient list looks a little long, I know. But I promise every ingredient there is a must. I actually was putting some shredded cheese into the sauce mixture a while back, but Jessica told me that was an extra step that didn’t need to be there, so we took it out. Also I have to strongly advise you to use raw shrimp. The reason being is you don’t want your shrimp to have to much moisture. And for some reason the pre-cooked shrimp has a ton of extra moisture and it will make the enchiladas soggy. Who wants soggy enchiladas. Not me. So make sure to get the raw, deveined shrimp ok. 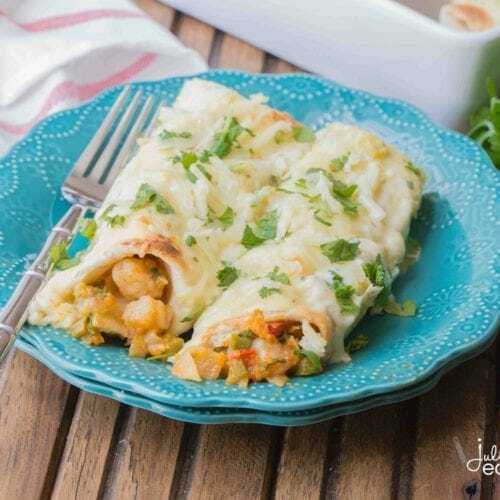 These enchiladas are great for company or a special occasion. Or you can be like me and just love them, so you make them at least once a week. I know, I know my poor family, but they are to good to not to make. 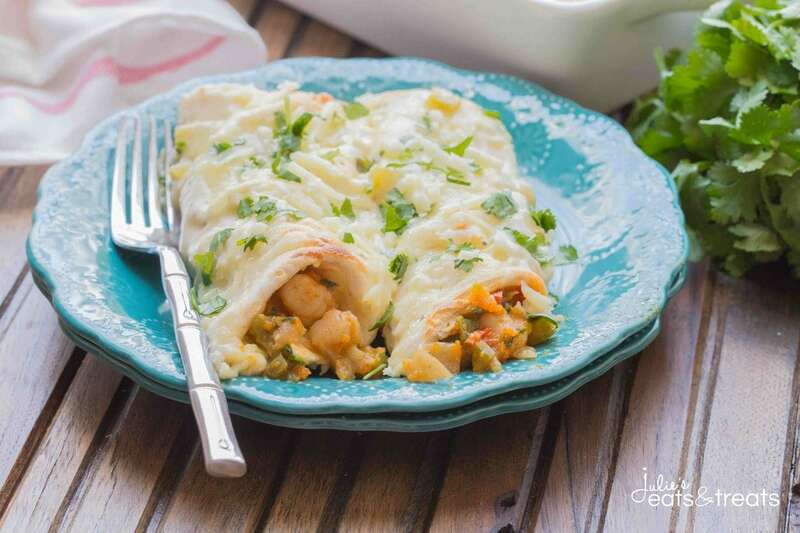 Next time you’re craving some good old enchiladas and shrimp, think of this recipe. You’ll be happy you made it. Enjoy! 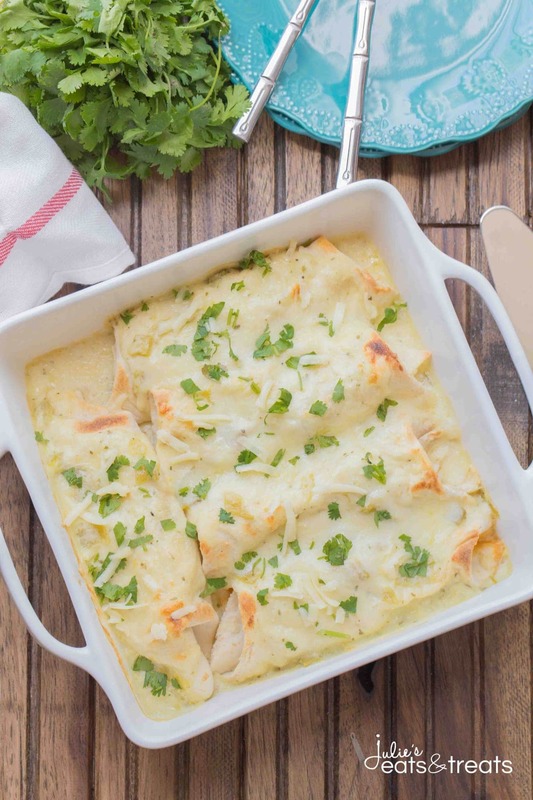 Filled with tender, flavorful shrimp then topped with a delicious homemade creamy sauce. 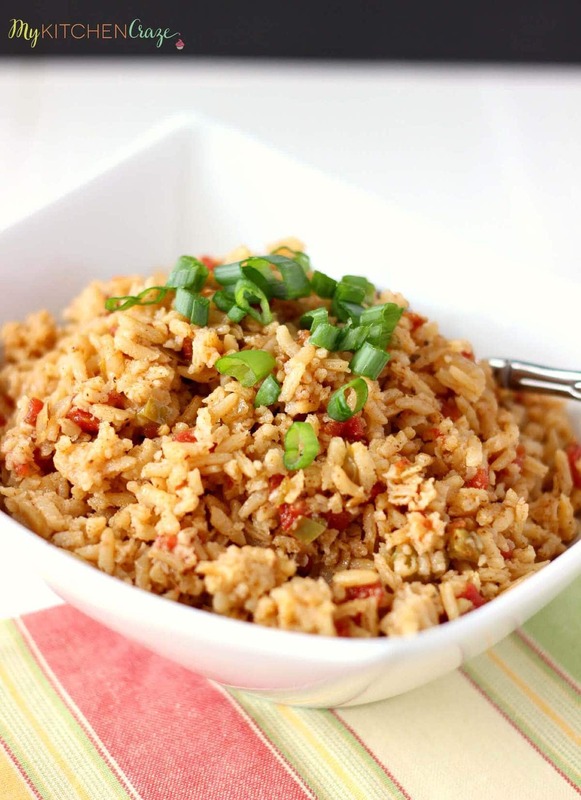 You will Love this Quick, Easy Weeknight Meal! Julie I just have to tell you how much I love this recipe. I made it last night. I didn’t have any shrimp in the freezer though and didn’t want to run to the store so I used shredded chicken instead. It was still wonderful. Next time I’ll make it with the shrimp so I can compare. Either way it’s going in the meal plan. Thanks for sharing it. 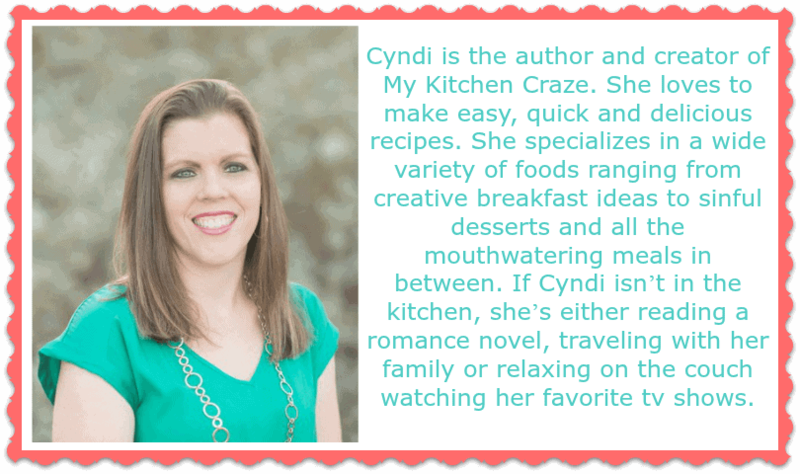 Kris I’m so happy to hear that you loved this recipe. This is my families favorite recipe too. We eat it almost every week. Let me know how much you love it with shrimp. 🙂 Now I need to try this with chicken. Happy cookin! Hi Ann! Sorry we were having some technical difficulties everything should be resolved!